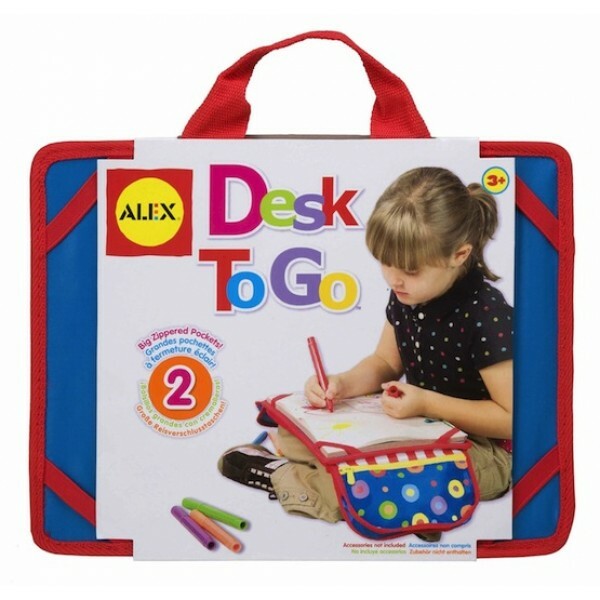 Ideal for travel, the Desk to Go from ALEX is a portable desk that fits comfortably on your child's lap or on an airplane tray table. Two big zippered pockets hold art supplies, small toys, cards, and more, while the desk itself has straps to secure a notebook or activity book measuring up to 9 by 12 inches. 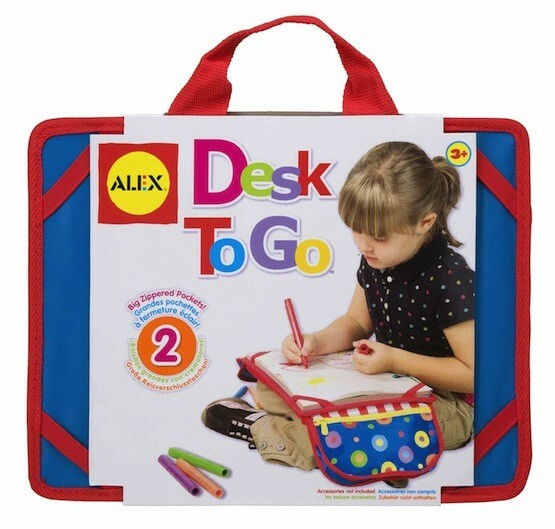 Designed for ages three and up, the Desk to Go helps keep children happily occupied while traveling.